Quoting of Aadhaar or enrolment ID has been made a must at the time of application of PAN. The Income Tax Department has urged assessees to link their Aadhaar number with PAN or Permanent Account Number. The taxman has not only simplified the process for Aadhaar-PAN linkage but also provided multiple facilities to do this. In Budget 2017, the government mandated seeding of Aadhaar with Permanent Account Number to avoid individuals using multiple PANs to evade taxes. From July 1, linking of existing Aadhaar numbers with taxpayers' PAN will be mandatory. The new rules will come into force from July 1, 2017, the Department of Revenue has said. 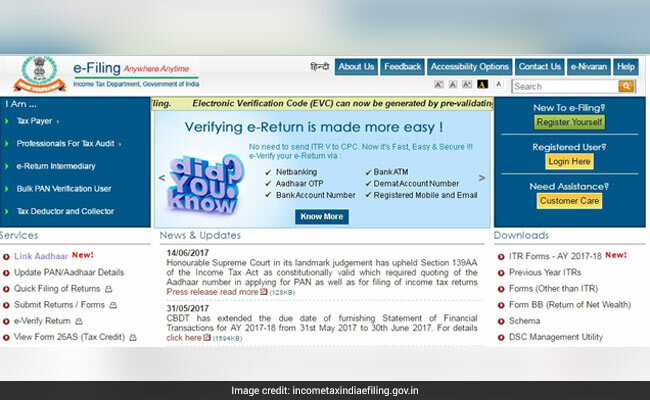 The Income Tax Department has introduced a one-page form for taxpayers to manually apply for linking their Aadhaar with Permanent Account Number (PAN), apart from the available online and SMS facilities. The government has made quoting of Aadhaar or enrolment ID a must at the time of application of PAN. Through an amendment to tax proposals in the Finance Bill for 2017-18, Finance Minister Arun Jaitley has made the 12-digit biometric identity system Aadhaar mandatory for filing ITRs and provided for linking of PAN with Aadhaar to check tax evasion through use of multiple PAN cards. "Every person who has been allotted PAN as on July 1, 2017, and who in accordance with the prof sub-section (2) of section 139AA is required to intimate his Aadhaar number, shall intimate his Aadhaar number to the principal director general of income tax (systems) or DGIT (systems)," according to the revenue department. Aadhaar can also be seeded into PAN database by quoting Aadhaar in PAN application form - for allotment of a new PAN or for reprint of PAN card, according to the taxman. 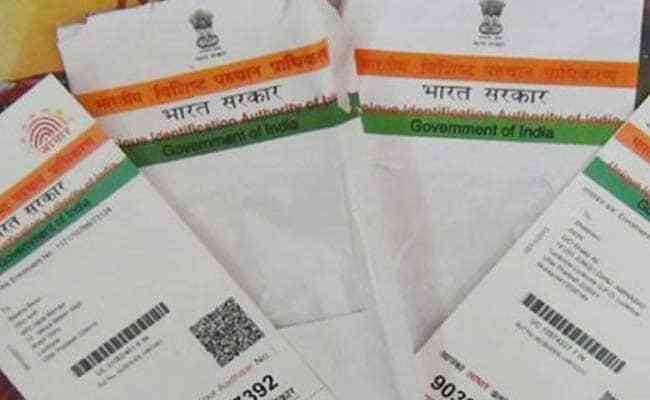 "In case where Aadhaar name is completely different from name in PAN database then the linkage may fall and the PAN holder has to change the name in either Aadhaar or in PAN database or visit personally to designated PAN application centre of NSDL eGov or UTIITSL for Biometric Aadhaar authentication," the Income Tax Department said on microblogging site Twitter.